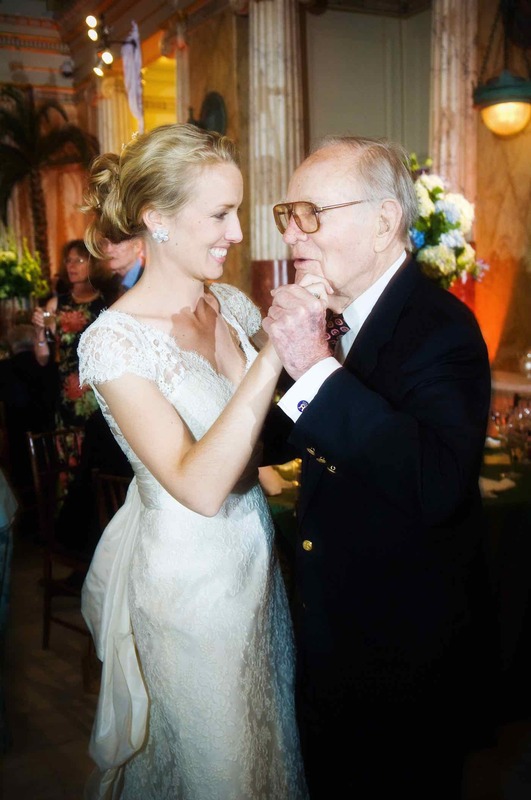 A week before Oliver was born, my grandfather passed away after a long, happy and very loved life. As my grandmother slowly went through my grandfather’s belongings, I was lucky enough to grab a few items that felt particularly personal to him. 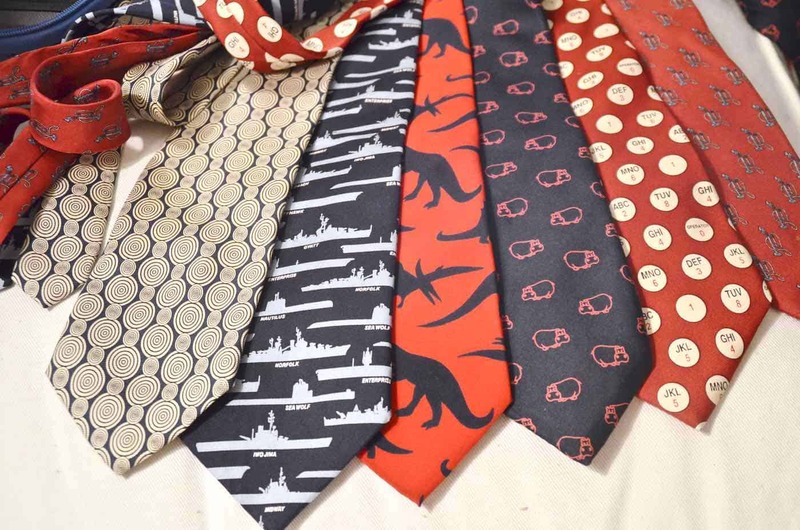 Specifically, a few of his wonderfully worn and vintage neckties. 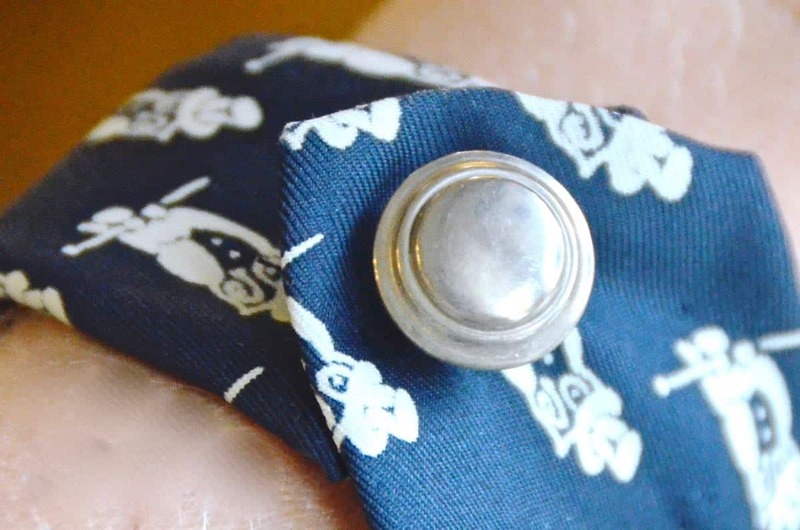 Read on to see how I made a bracelet out of his repurposed necktie. Well, I’m all for a quirky ensemble, but men’s neckties haven’t worked their way in. Yet. But I wanted a way to use these so they weren’t just sitting in a box at the top of my closet. I had the idea to use these somehow as an accessory. 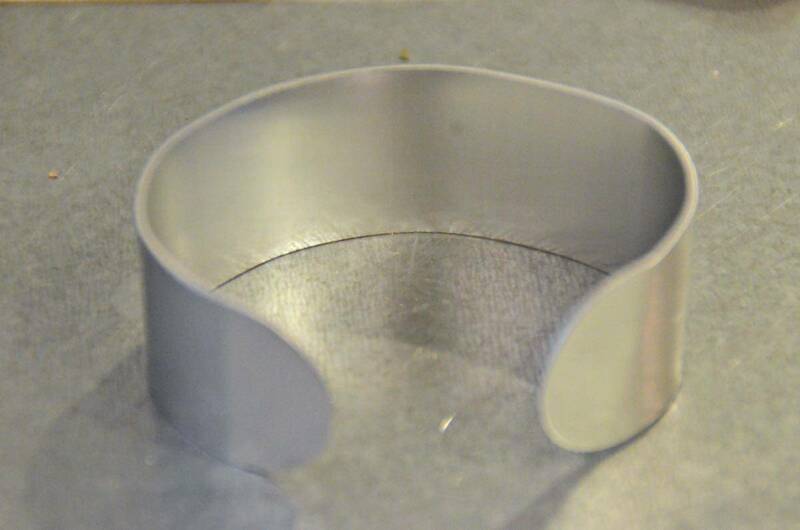 And… the craft store had these bracelet forms (affiliate) that I used to bend into a cuff shape. 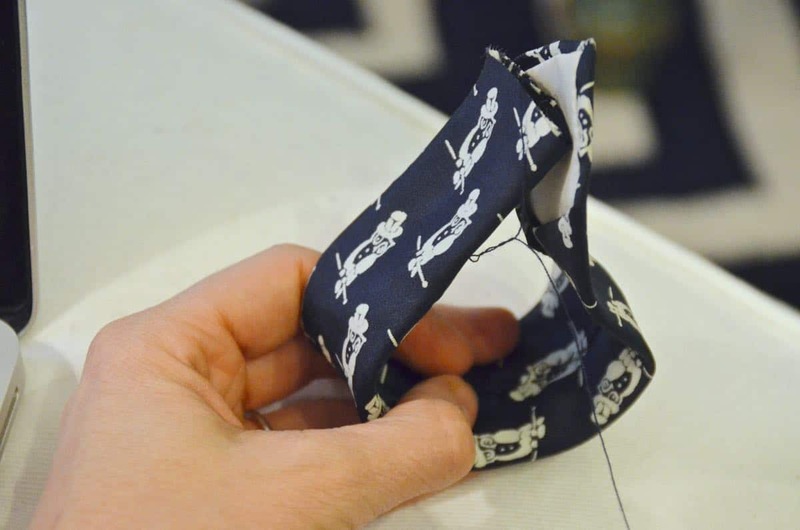 The skinny end of the necktie fit the cuff perfectly so I didn’t need to do any tricky sewing. I slid the cuff into the tie, and cut the tie long enough to fit. 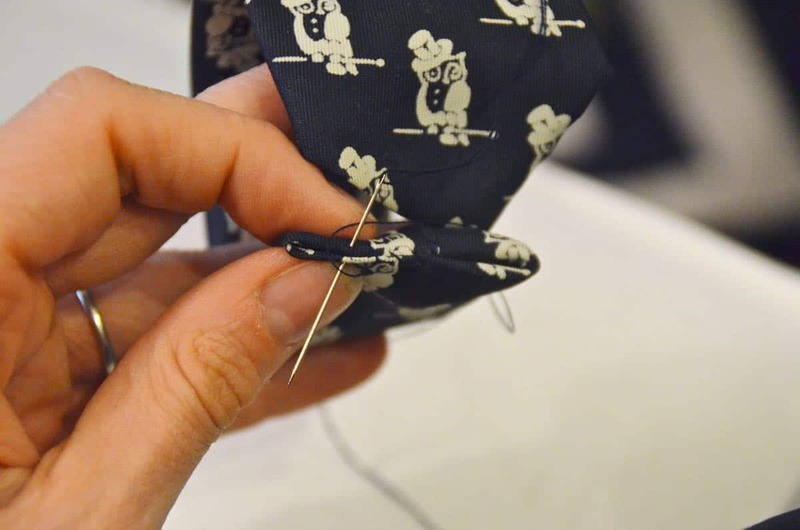 I sewed each end to keep the cuff snug as a bug inside the tie. 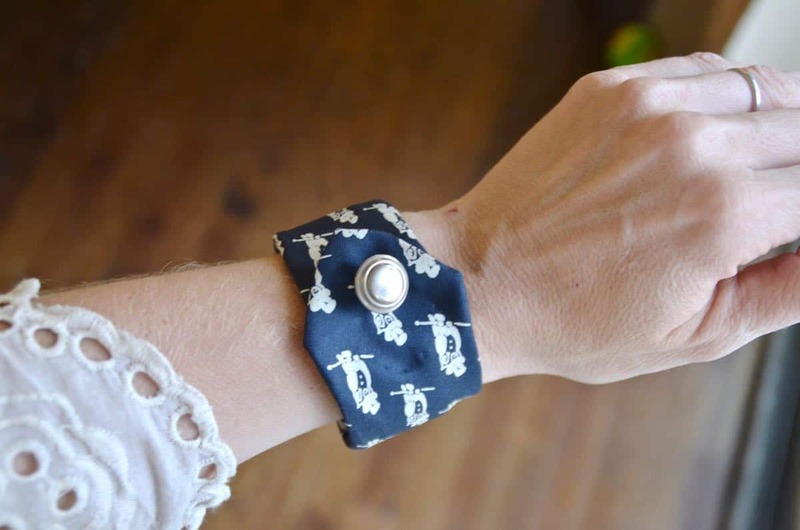 I used a snap to close the bracelet so I didn’t have to get into button holes or anything. The pattern of this tie didn’t lend itself to much more embellishment, but I plan to keep my eye out for other less-sentimental neckties that maybe could stand for some bedazzling, etc. in the future. 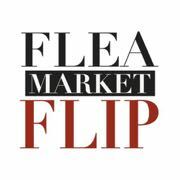 For this one, I just settled with one of the old buttons I snagged last season at the flea market. Wow, so crafty! I have no clue what I’m doing in the “craft” department…at least my cooking makes up for it, lol! 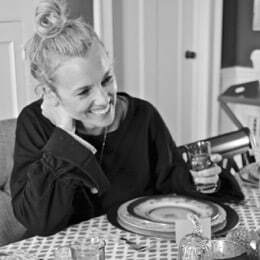 I’d say your cooking completely trumps my crafts, what with the nutritious well being of your family and all! Drooling over your eggplant fries! 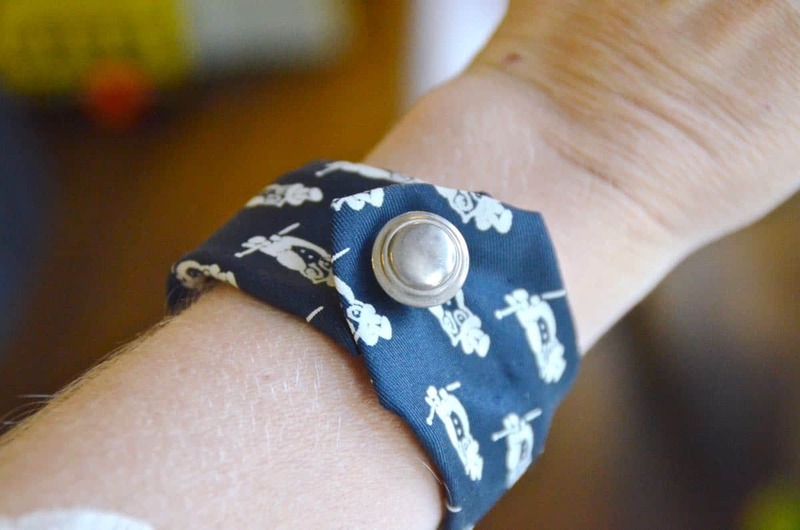 Even before I had scrolled down far enough, I was thinking of suggesting a cuff bracelet. 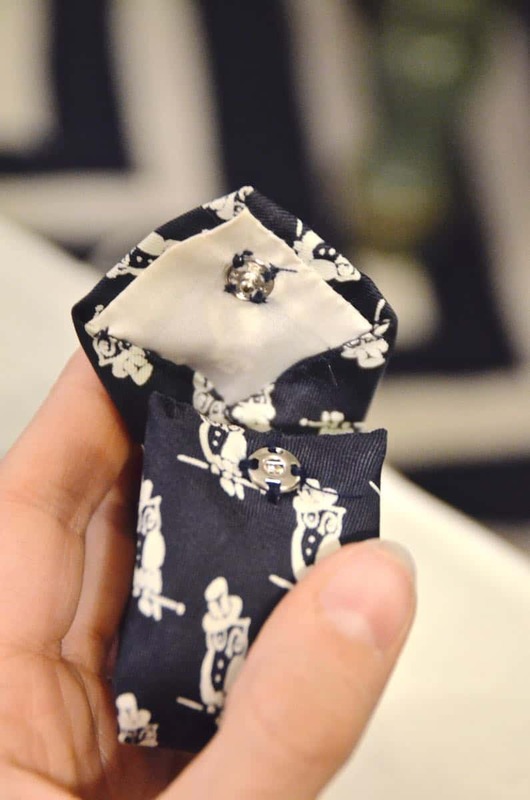 I’ve made a few for myself, and I prefer to use the narrow end of the tie. I simply fold-over the triangular end, and sew it, and then cut the other end to length. My method for attaching them is just velcro, since it’s easier to put on, and to adjust the fit. Mine are decorated with a button (just for show). I originally got my inspiration from the ones by Kiel James Patrick (Google for photos). I love those ones! Velcro is a smart call… Thanks! Having a hard time finding the bracelet forms. Any ideas where I might look . Hi Jean! I found mine in the jewelry section of Michaels but maybe Amazon? Good luck! Thanks. I will try there.